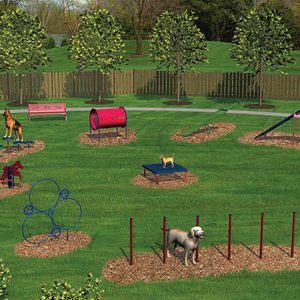 SKU: 61-smalldog Categories: Dog Park Agility Kits, Dog Park Equipment Tags: dog park equipment, obstacle course kits Brands: UltraPlay. 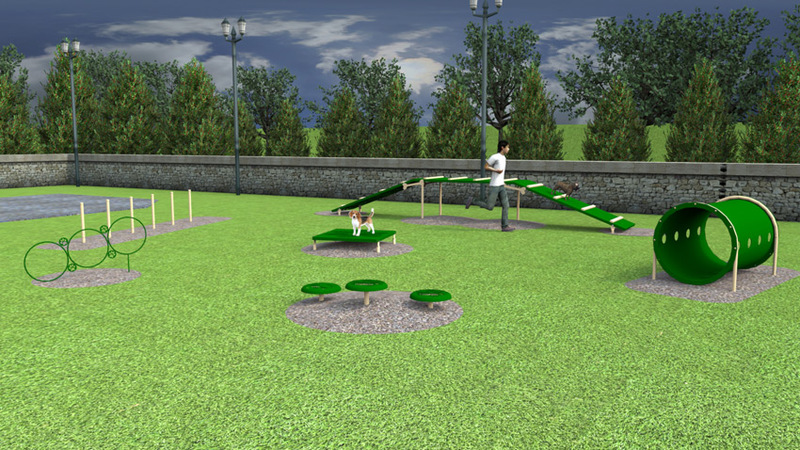 Good things come in small packages, which is why this agility course for small dogs was created. It features a newly designed hoop jump that is shorter to the ground and features smaller hoops that are just the right size for teacups and terriers. 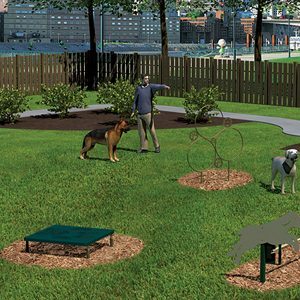 This course also features the Doggie Crawl, Weave Posts and Paws Table. Installation height of the Paws Table can be shortened to accommodate smaller dogs. Standard installed height is 12”.